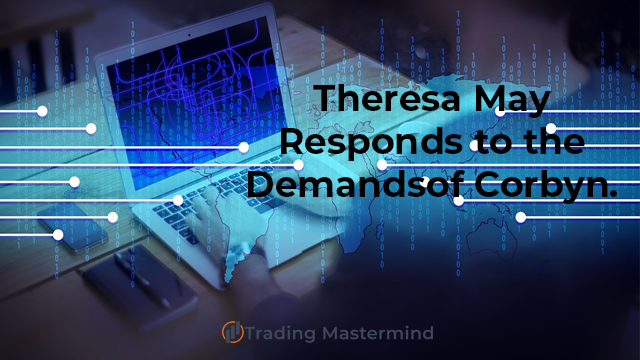 Pro Forex Trading Strategies Theresa May Responds to the Demands of Corbyn. Theresa May Responds to the Demands of Corbyn. While the country is headed rapidly toward going past deadlines to get a deal completed, Jeremy Corbyn sent a letter with his current demands for a Brexit deal and May has replied setting out the solution to his 5 demands.